This is the EMD F40PH Chicago Metra #163 "City of Elmhurst" from Kato. 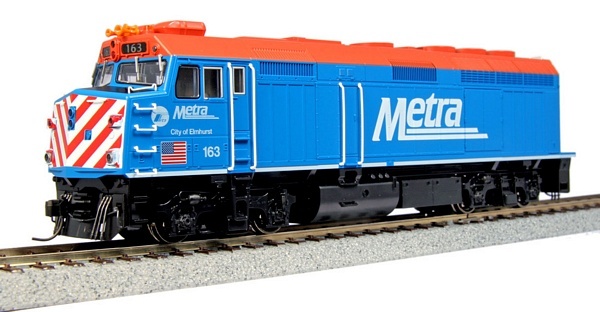 The new Chicago Metra F40PH has a number of new tooling details such as remolded rear grab iron sections, new roof details to represent the current Metra look, and new cab air conditioning units that give the Metra version of the F40PH its own specific style! Each HO EMD F40PH Chicago Metra carries a unique city name in addition to the standard locomotive number.